Super excited studio today as we were lucky enough to get our hands on “The Collection” - a book from GF Smith showcasing every paper, weight and embossing offering last night. Unveiled at Band on the Wall, Manchester, with scrummy food and drink along with DJ beats…we had to indulge! The shop is declared open and so a stampede of orderliness to pick up paper #swag begins. We can’t get enough of our grey goodies! We are thumbing are way through this huge indexing of textural delights. 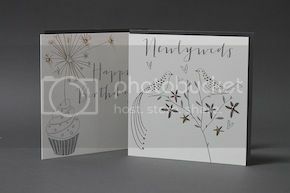 The touch and feel of a card, the envelope it’s received in are all elements carefully considered along with the creative imagery of every collection we lovingly craft.